On April 9, 1942, Gen. Edward King, commander of the Fil-American forces in Bataan, surrendered to the Japanese. To this day, it remains the largest American army in history to surrender, numbering more than 70,000 Filipinos and Americans. After the surrender the Japanese marched their captives to different locations in what became known as the Death March, a 55-mile stretch from Mariveles, Bataan, to San Fernando, Pampanga. Thousands of soldiers died in the march; some were shot by their captors and others succumbed to disease, starvation, or painful dehydration. Anton F. Bilek was only twenty-two years old when he was captured in Bataan. 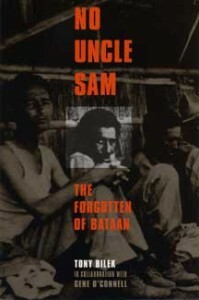 No Uncle Sam is his story of survival through the Death March, his imprisonment under horrific conditions in the Philippines and Japan, and his servitude as a slave laborer in the Japanese coal mines. 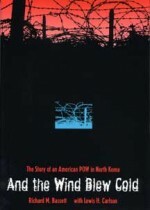 Bilek addresses the frustration, anger, fear, humor, hope, and courage that he and other Americans shared during their captivity and their silence about these experiences for many years after their release from the POW camps. After almost 40 years Bilek decided to write about his experiences, and this memoir is the result. Those who are interested in history and the incredible resilience of human beings must read this tale of survival. AuthorThe late Anton F. Bilek was only twenty-two years old when he was captured in Bataan. No Uncle Sam is his story of survival through the Death March, his imprisonment under horrific conditions in the Philippines and Japan, and his servitude as a slave laborer in the Japanese coal mines. Bilek addresses the frustration, anger, fear, humor, hope, and courage that he and other Americans shared during their captivity and their silence about these experiences for many years after their release from the POW camps. After almost 40 years Bilek decided to write about his experiences, and this memoir is the result. Tony Bilek died in January 2014.